British manufacturers are continuing to enjoy a surge in performance on the back of a synchronised upswing in global markets according to the latest second quarter survey today from EEF, the manufacturers’ organisation and accountancy and business advisory firm BDO LLP. 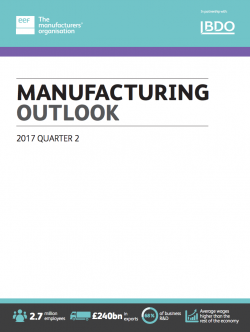 Publishing the Q2 2017 manufacturing outlook survey, EEF pointed to a continued confidence that manufacturing will enjoy further expansion into the second half of this year, despite response balances easing slightly from the results of Q1, defying any predictions that political uncertainty caused by a snap election and Brexit may impact on business confidence. 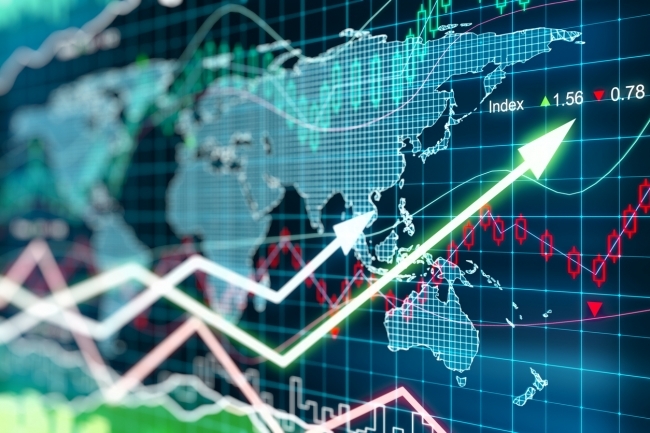 While the export performance does have a currency aspect to it, the survey showed that manufacturers’ views of demand prospects in exports markets have become steadily more positive over the past year. Demand in European markets looks especially buoyant with over three-fifths of companies (61%) reporting an upturn. The survey also showed that, in contrast to recent years, positive output balances were reported across all sectors. However, those in the capital goods sector are performing especially well as global manufacturing intentions have increased. A good pipeline of orders across the industry is pushing up demand for new employees and recruitment intentions soared to the highest level in three years, whilst investment intentions were in positive territory for the third quarter in a row. EEF warned, however, that the current sweet spot for the sector cannot be guaranteed given the uncertainty ahead, in particular the likely continued squeeze on household incomes and the possibility of no deal on Brexit which could damage trade. In response EEF is urging the new Government to press ahead as a matter of urgency with a bold industrial strategy to help cement long-term growth prospects for the sector. Commenting on the survey, EEF Chief Economist, Ms Lee Hopley, said: “Our survey marks another quarter of positive news about growth prospects for UK manufacturers. Industry is reporting that output and orders have continued to head higher in recent months and the recovery in manufacturing globally is a big part of the story. 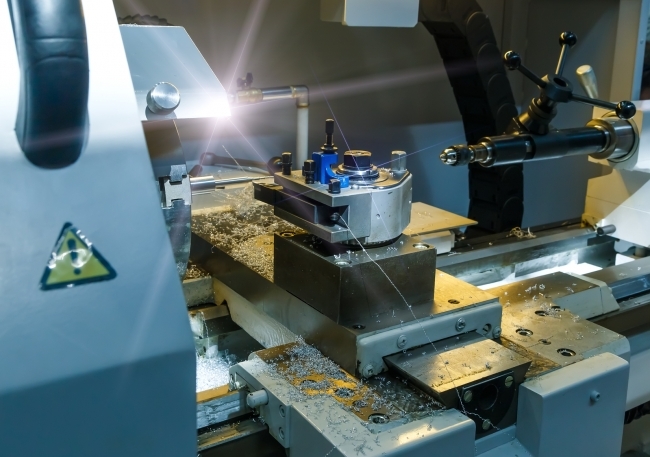 It’s very encouraging that UK manufacturers have positioned themselves to capitalise on the windfall of a competitive pound and resurgent world economy. Tom Lawton, Partner and Head, BDO Manufacturing, said: “The Q2 survey results present a very positive and exciting picture for manufacturing, showing increasing orders in both home and export markets. The continued growth in world markets such as Asia, North America and Europe are driving positive demand conditions. These results show yet again that manufacturing has the resilience and the qualities to form one of the foundations of a successful UK economy. According to the survey, whilst output and orders balances eased slightly from Q1, they were still well above historical averages at 26% and 25% respectively (31% and 29% in Q1). The balance on export orders exceeded that of the last quarter, at 28%. This surge is expected to be maintained in the next quarter which will help compensate for an expected slight easing in domestic demand. Looking forward, a net balance of companies expects the expansion to continue, reflecting a positive, supporting economic environment, both domestically and abroad. This strong set of figures on burgeoning order books is reflected in a three year high balance for recruitment at 21% (17% in Q1), with balances in positive territory in all parts of the UK in the past three months. Whilst easing slightly from the two year high recorded in Q1, investment intentions remained in positive territory (7% compared to 12%). The survey also reflects a strong performance from capital goods sectors which follows a prolonged period of decline following the collapse in oil and gas production. As global economic output increases across the board manufacturing investment coming back online sectors such as mechanical engineering and electronics are all benefitting significantly from this upswing, mirrored in their employment and investment balances. Last quarter’s expectations of further price increases didn’t materialise as the pass through of sterling depreciation modified and the uptick in input costs eased from earlier surges. This did have an impact on manufacturers’ profit margins on domestic sales which slipped further into negative territory. Similarly, profit margins on export sales were slightly negative. In response to the continued improvement in economic conditions EEF has revised its forecasts upwards. Manufacturing is now expected to expand by 1.3% in 2017 and 0.5% in 2018 (1% and 0.1% in Q1) and GDP by 1.8% and 1.3% respectively (unchanged from Q1).